Please note that it is impossible to transfer photo albums directly from iPad to PC even with the use of iTunes or computer's built-in applications. The reason is that the computer will refuse to show photos with the album and this will make the entire process difficult. However, there is still a way to transfer photo albums from iPad to PC. You may need the help of iMyFone iPad Transfer at this case. It’s an all-in-one iOS data transfer software that allows you to sync photos, music or videos available on PC or iTunes directly to your iPad without erasing any data, even if you have your device synced with another iTunes library. It gives you maximum control over all music, photos and video formats and it supports any file format. 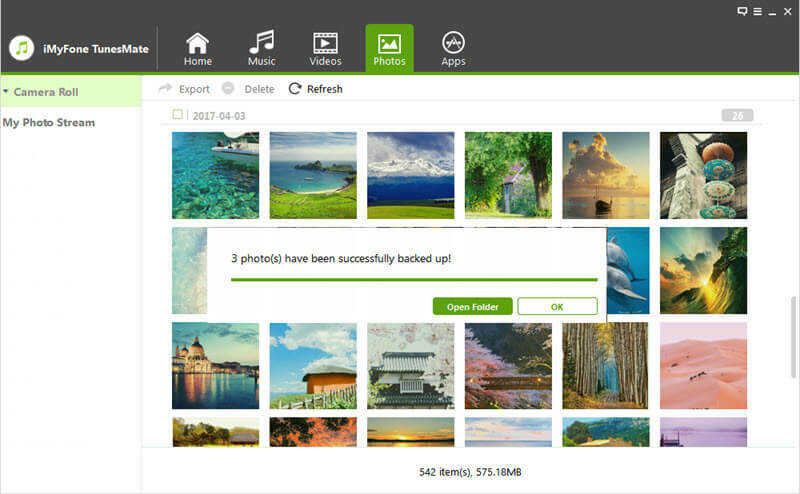 iMyFone eliminates any fear of data loss during the process of syncing files from PC. Transfer photos from iPad/iPhone to computer selectively or all at once. Copy photo albums from iPad to PC, without any issues. It uses a Drag and Drop feature to transfer your favorite file to your local library. Move videos in camera roll, or videos album from iPad to computer. Delete unwanted photos in bulk for free. Transfer or manage all kinds of media files: music, videos, playlists, iTunes U, camera roll, photo stream, audiobooks, podcasts, etc. iMyFone iPad Transfer issues the fastest means of backing up your photos from iPad to computer. This includes Photo Stream or Camera Roll. Step 1: Of course, have iMyFone iPad Transfer downloaded and installed on your PC. Step 2: Launch iMyFone software and select Photos tab at the top menu. Step 3: All your photo albums will be listed under Camera Roll in the left sidebar. Right click on the album that you want to copy, and tap Export to PC. 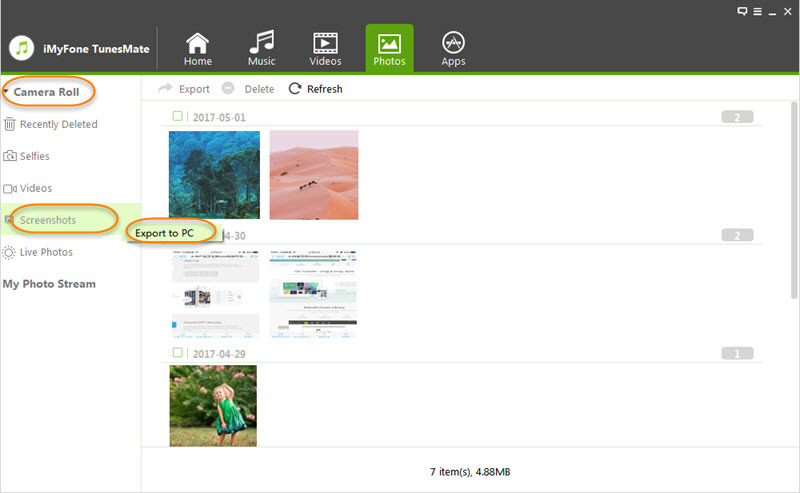 Step 4: You can browse and select the target folder that you want the exported photos to be saved on your PC or external hard drive. Click on "Select Folder" to initiate the export process. Once finished, you can hit “Open Folder” from the pop-up window to access the album on your PC. How to Download Photos from iPhone to PC?